Young Chef Huang (Namewee) struggles to get his restaurant business going because he cannot adapt to the localized cooking his patrons are looking for. However, contradictory to his unpopular cuisine, he is also well-known as Hero Huang in the local neighbourhood where he carries out good deeds in helping the community until he met Xiao K (Karen Kong) who got him into deep trouble. In order to get his life and the restaurant business back on track, Chef Huang must now seek help from a mysterious hawker stall lady (Adibah Noor), who summons him to embark on the most extraordinary journey of his life. 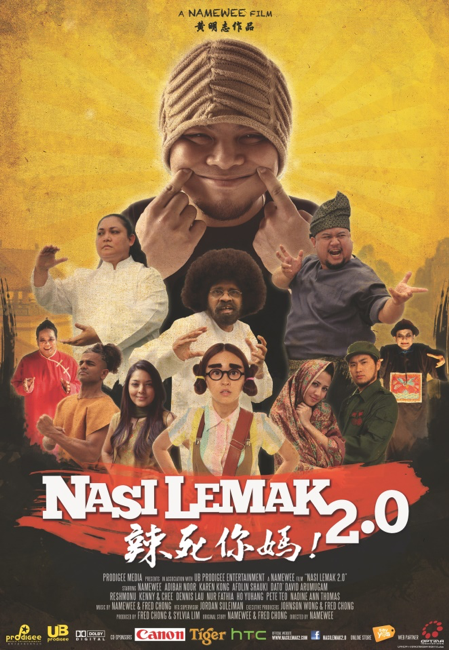 During this self-enlightening experience, he will also meet many local heroes each lending their support to help him re-discover his roots and the real hidden message of Nasi Lemak.